Greenview residents are actively engaged in their community and keeping them informed is our top-priority. 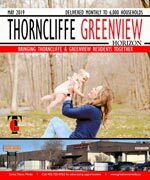 Thorncliffe Greenview Horizon is the official community newsletter, and covers community news and is published monthly to keep content current and relevant. 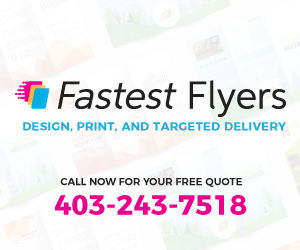 Delivered to every household, apartment, and business, every resident is acquainted with the community’s most important information. The Thorncliffe – Greenview community association is extremely active. Over the years,the membership has worked hard to build one of the largest Community centers of its kind in the City of Calgary. Today, the center is primarly used by the members for recreational, cultural and social activities. The membership is pleased to extend an invitation to the general public to use their facilities, when available. In the City of Calgary’s 2012 municipal census, Greenview had a population of 1,975 living in 1,120 dwellings, a 1% increase from its 2011 population of 1,956. With a land area of 0.5 km2 (0.19 sq mi), it had a population density of 4,000/km2 (10,200/sq mi) in 2012. Residents in this community had a median household income of $45,898 in 2000, and there were 19% low income residents living in the neighborhood. As of 2000, 20.6% of the residents were immigrants. A proportion of 48.5% of the buildings were condominiums or apartments, and 65.4% of the housing was used for renting. For more detailed info visit the City of Calgary community profiles site.